(Ordinul „Carol I”, în grad de Colan). 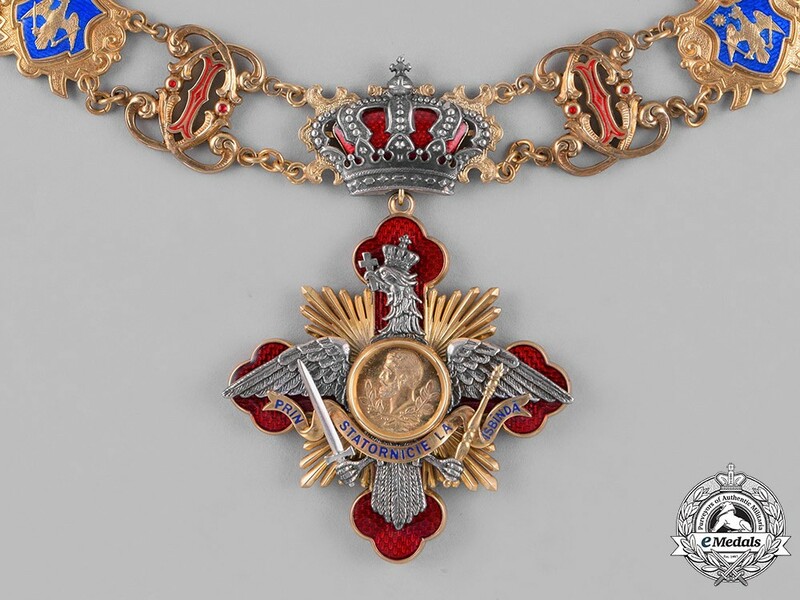 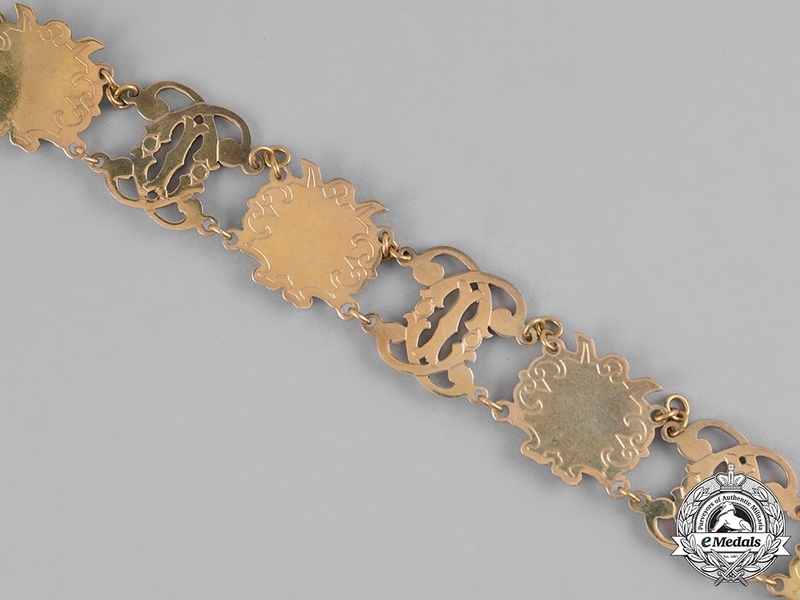 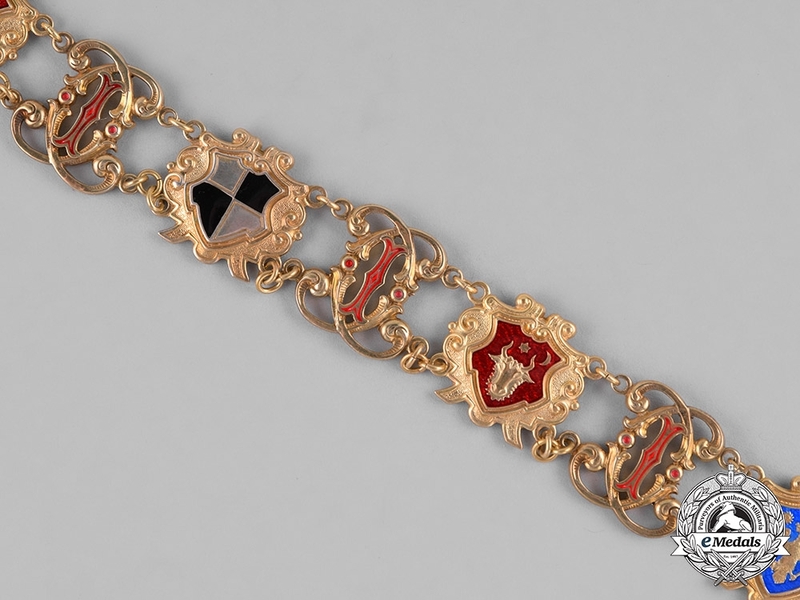 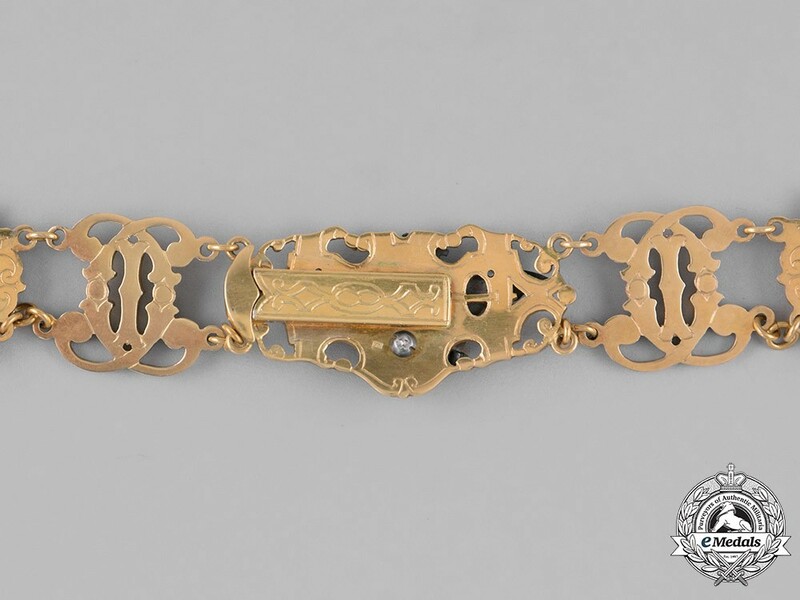 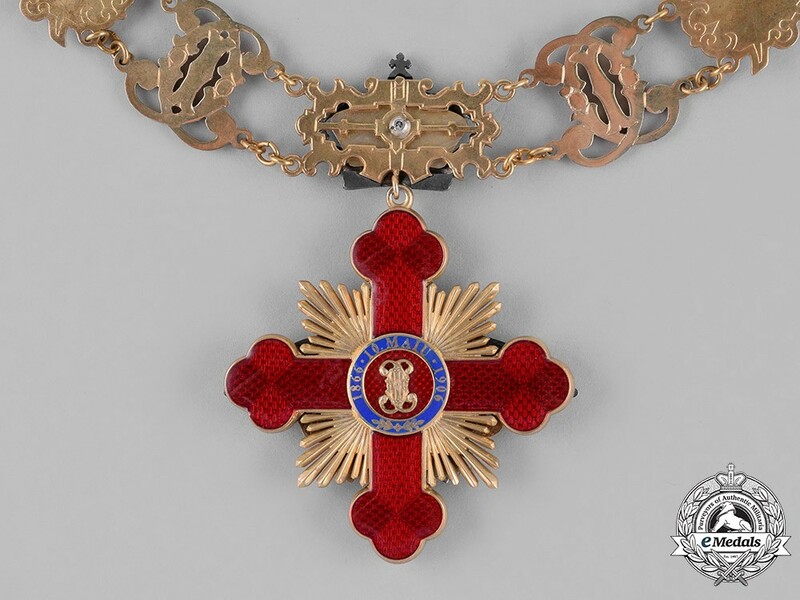 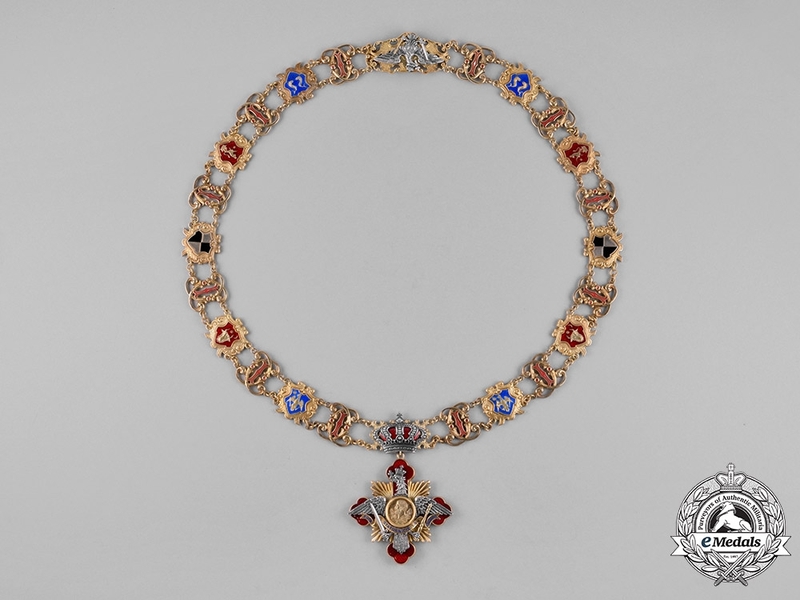 Collar of the Order, in silver gilt and enamels (marked "900" 0n reverse of the retaining clasp), consisting of twelve double "C" links and ten links representing Romanian/Dynastic Coat of Arms, total length of collar is approximately 65cm. 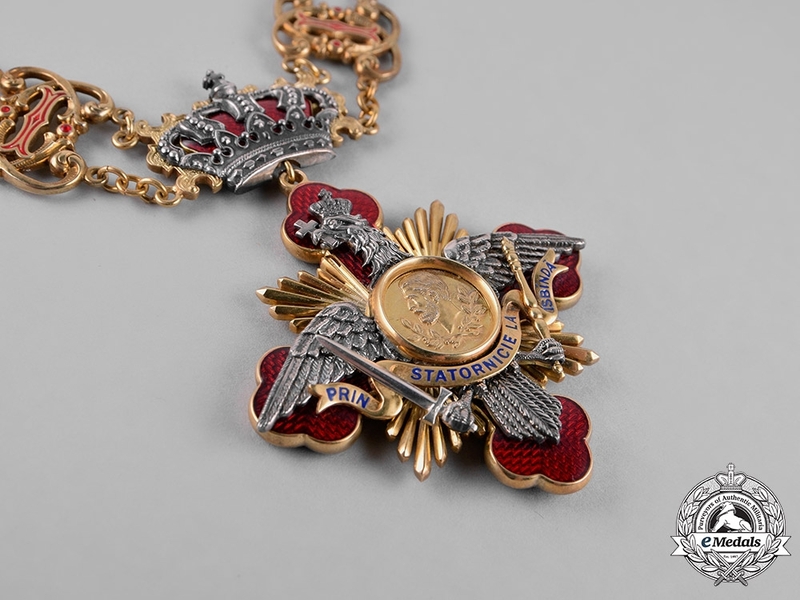 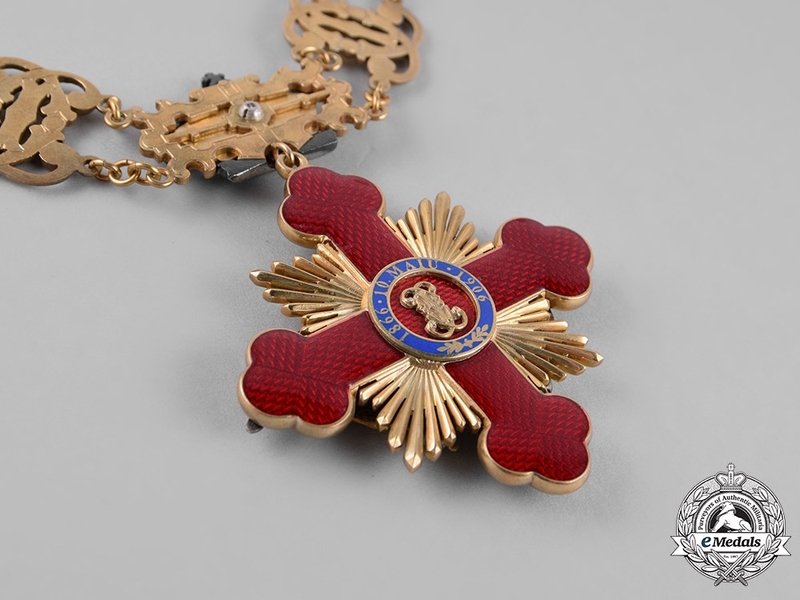 Attached to the collar is Cross, in silver, silver gilt and enamels, 61mm (x88mm including the crown suspension); no chipping to enamels, in slightly worn condition, of superb quality manufacture, circa 1930's period issue, in near mint condition and very rare. 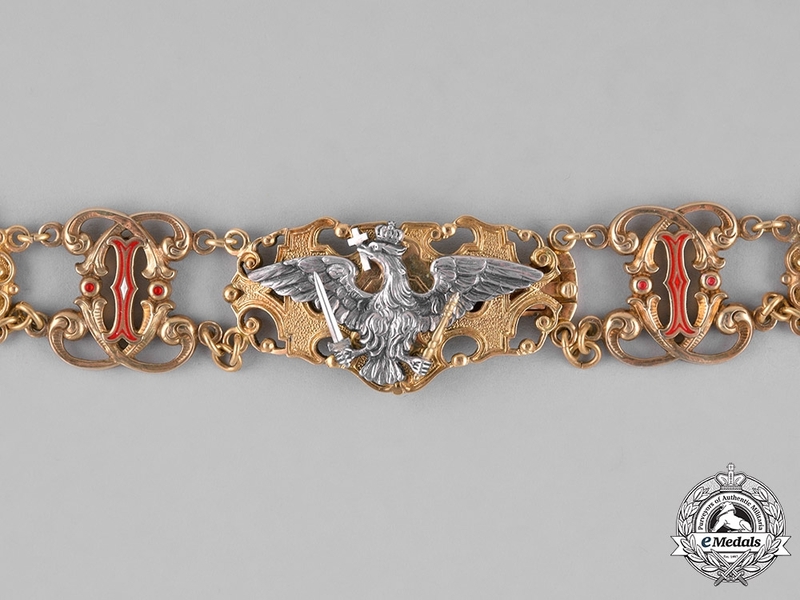 Footnote: maker is unknown, but likely it is German maker Zimmermann of Pforzheim.